Whenever we click a file to download using Torrent client, Torrent will use ".magnet" protocol to communicate with it's peers in the network. The idea of this protocol is using the content cryptographic hash value of the file rather than of it's location. This protocol use metadata content to be located by our machine. 1. 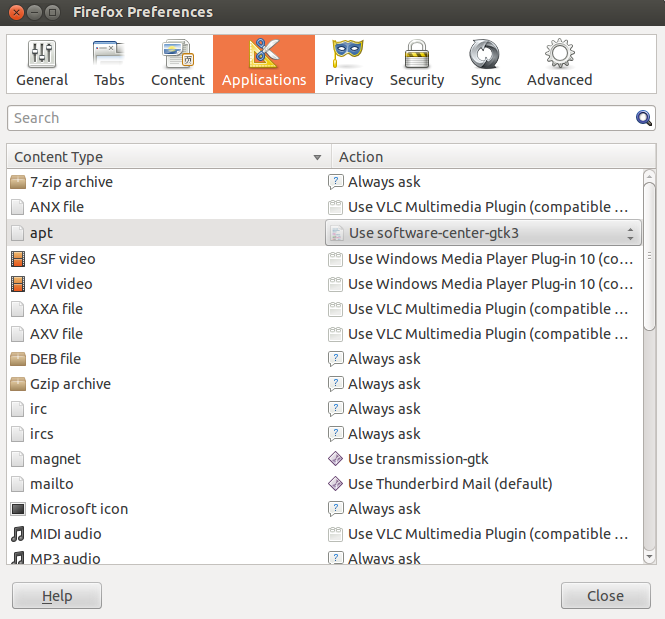 Open Firefox browser and type "about:config "
2. Search for file "network.protocol-handler.expose.magnet" this file determine whether our browser know which application need to be open with ".magnet" file type . "New>boolean> (key in network.protocol-handler.expose.magnet) > false"
4.Make sure the file is configure in our browser. 6. Choose the type of application that you want to run with ".magnet" file . (search for your bittorent client) .